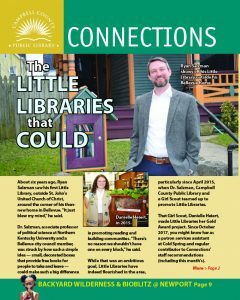 Read the April “Connections” newsletter here. Visit our Newport Branch this April for Backyard Wilderness, an exhibit designed to motivate children to take their curiosity outdoors. Pick up a rock at any of our branches and take it home to decorate. Drop the rock back off to be a part of our spring community art project! Read the March “Connections” newsletter here. 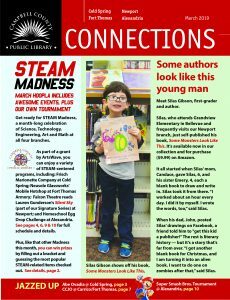 Get ready for STEAM Madness, a month-long celebration of science, technology, engineering, art and math. You’re off to great places. Today is your day. Our Dr. Seuss programs are waiting, so get on your way! Click here to read February’s “Connections” newsletter. 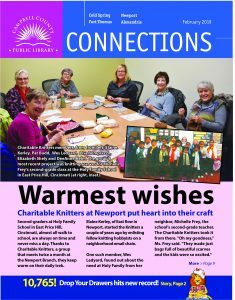 Read our monthly “Connections” newsletter to learn about all of the exciting events and programs happening at our branches this month.